never forgetting our humble origins. pampered from the vineyard. 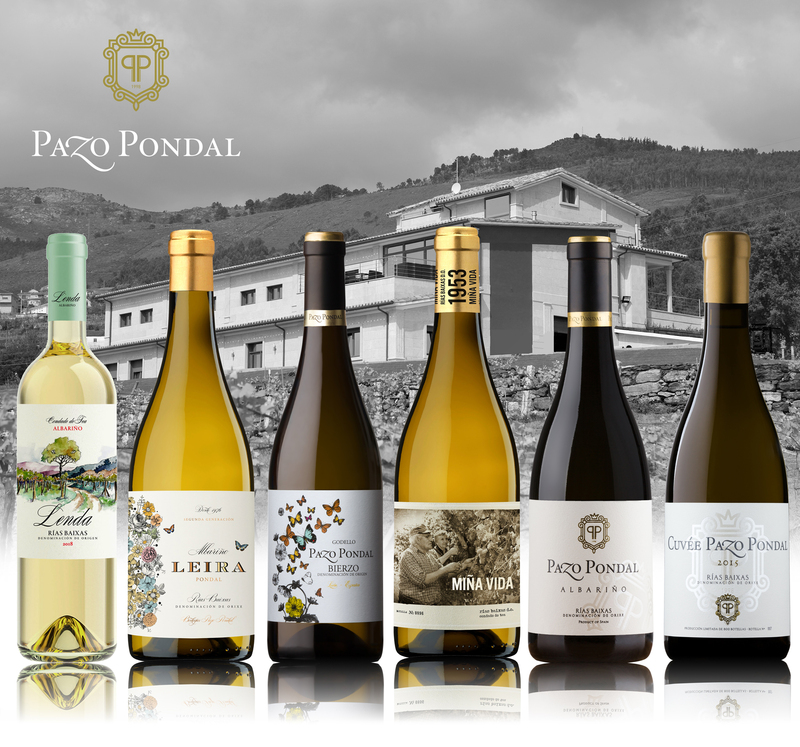 Made with the best strains of the Albariño and Treixadura varieties from the oldest vineyards planted by my parents. life and evokes the land where our history was born. 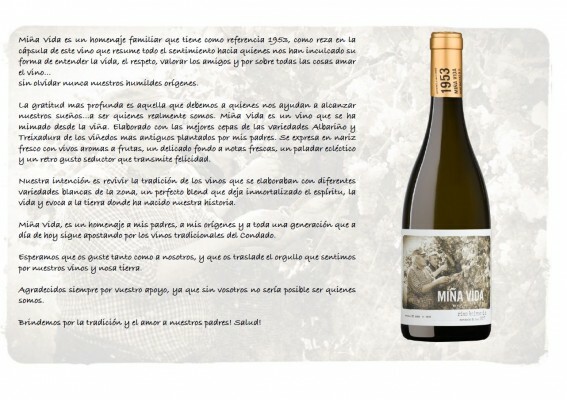 Miña Vida, is a tribute to my parents, my origins and to a whole generation that today is still betting on the traditional wines of the County. We hope you like it as much as we do, and that you take pride in our wines and land. Always grateful for your support, because without you it would not be possible to be who we are. 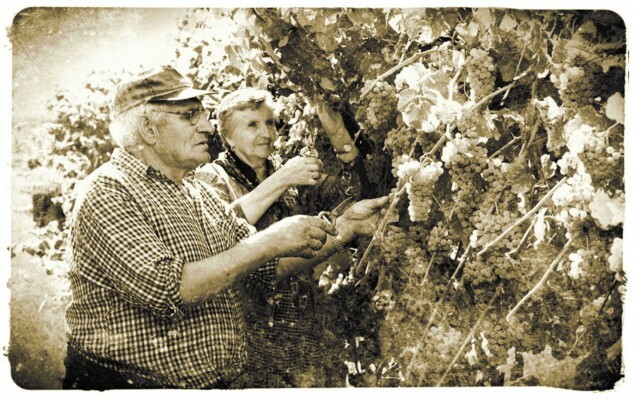 Let's drink by tradition and love our parents! Health!